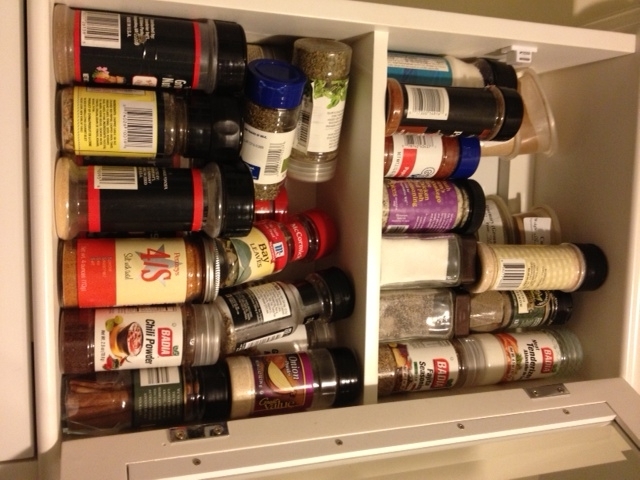 Edit (by Melissa): Laura sent us a picture of her spice cabinet as well – looks like we were both wrong, Mom! Her spices look pretty much just like ours. I guess it’s a family thing! This entry was posted in General on March 30, 2013 by andrewsbeth. Too funny, Mom! I’m glad someone understands! What is Laura’s spice cupboard like? Probably neat as a pin! Looks like we were wrong! That is funny! We were wrong! Genetics rule!! 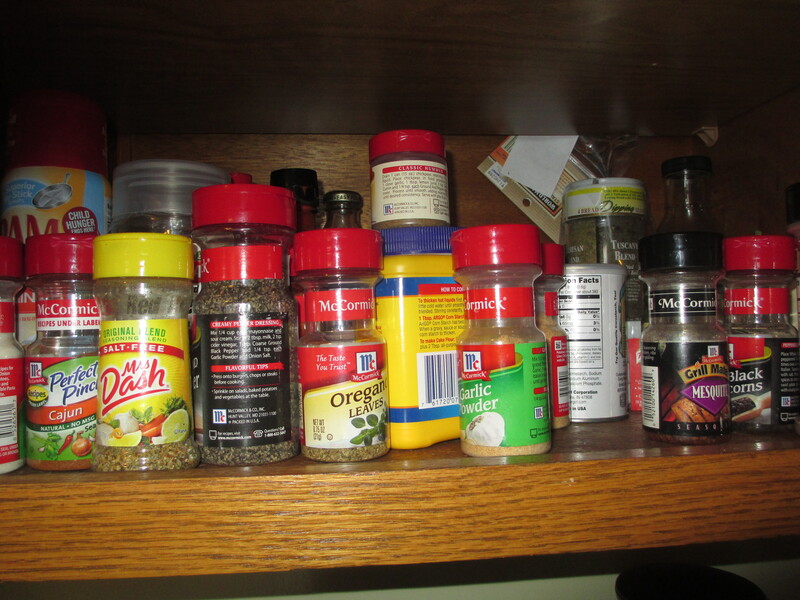 How funny–my mom’s spices are not amazingly neat, but she does have some similar size jars all on a spice rack that appears neater than mine. Though that’s not all she’s got for spices!